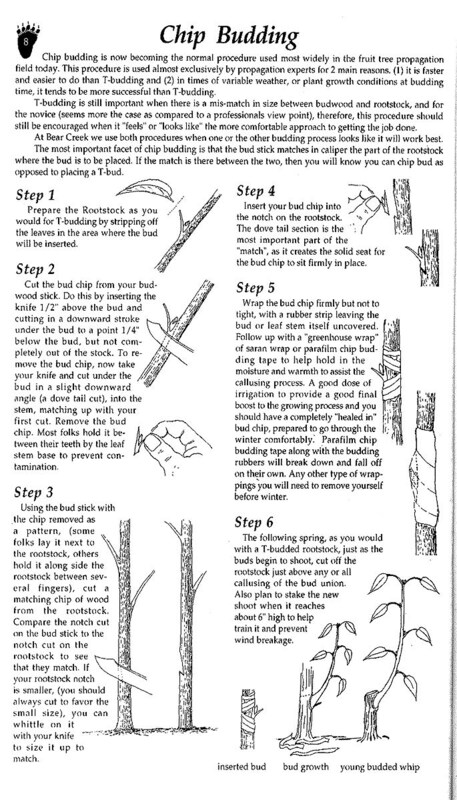 Grafting and Propagating Fruit Trees A great pdf brochure from Penn State. Vegetative Propagation Techniques A great pdf pamflet on all aspects of plant propagation with many pictures. Nigel Deacon’s Excellent site Nigel Deacon’s excellent site on all things apple. Check out the apple breading pages! Wild Pollinators of Eastern Apple Orchards and How to Conserve Them. A great booklet from the Cornell IPM Center. Apple Scionwood from Tower Hill Botanic Garden in Boston. $3.50 per scion with 4 stick minimum. Inc shipping. Many very old cultivars. Vegatative Propagation Techniques in Colorado sells scionwood for $3 per stick plus shipping. Apples, Pears, and a few plums. Maple Valley Orchards offers scionwood for $3 per stick plus shipping. Many apples, pears and a few plums. Heirloom Orchardist. A listing of resources including scionwood, trees, etc. Cornell Fruit website– An outstanding resource from Cornell University. Includes many fruits. Nice IPM manuals for apples and grapes. Gooseberry and Currant culture information with excellent information and some links. is an excellent site with descriptions and pictures of many apples. While based in the UK, there are links to US sources for many of the trees. www.NorthernNutGrowers.org – Northern Nut Growers Association: Founded in 1910, this 100-year plus association is dedicated to advancing knowledge of nut tree culture. www.GrowOrganicApples.com – Michael Phillips site. www.VeggieGardeningTips.com -Kenny Points Gardening site from Harrisburg. He has many articles and blogs on gardening. Best Resources for Backyard Fruit Growers – The best books, periodicals, etc nominated by our members. Pictures from the Grafting Workshop 2005– See what the fuss is all about! Images from the 2001 Winter Meeting– Lots of apple pictures from an apple tasting. The BYFG Pawpaw Page – a page devoted to that most misunderstood fruit. Check out the 1997 BYFG Pawpaw Tour photos! 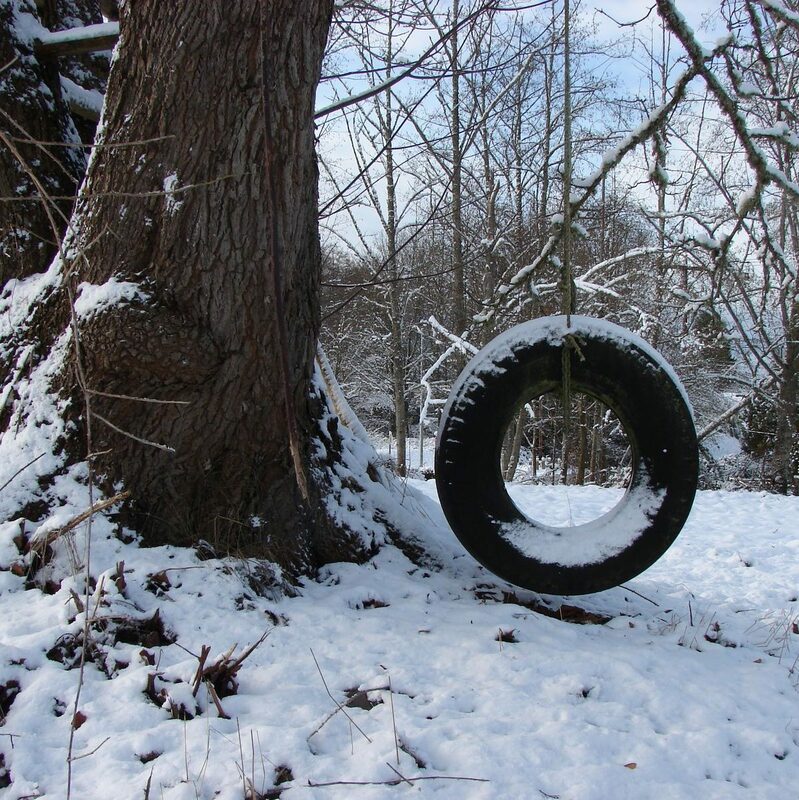 Kearneysville Experimental Farm Home Page has a great set of links with lots of pictures of diseases and bugs, and links to the Mid-Atlantic Fruit Loop. Highly recommended! North American Fruit Explorers (NAFEX) publishes the quarterly Pomona. MidFEx Home Page – a local NAFEX group out of Chicago. Marc’s Gooseberry Site – An excellent site with variety descriptions and pictures. The Core Historical Literature of Agriculture library at Cornell – A huge number of old books are online, like Small Fruits of NY, Apples of NY, etc!! Big Horse Creek Farm A North Carolina Nursery specializing in old southern apples but has many, many varieties and online descriptions. Henry Leuthardt Nurseries A Long Island family nursery with great prices on fruit trees and soft fruits. Also one of the few places that grows and sells various espalier forms of apple and pear. Whitman Farms– A great source for currants, gooseberries, other unusual fruits and landscape plants. Good prices and service. Raintree Nursery– Excellent service and selection on all kinds of fruits. One Green World– Another Northwest nursery with all kinds of fruits. Burnt Ridge Nusery and Orchards A Washington State nursery with good selection and prices. Bear Creek Nursery – Unfortunately now out of business. 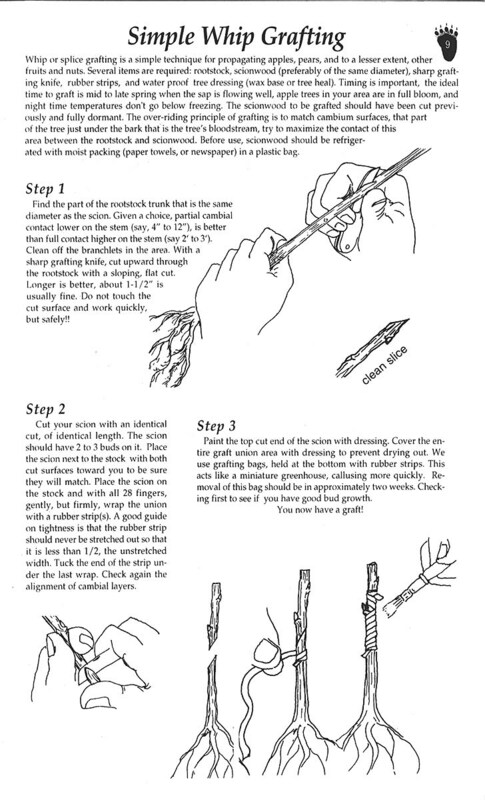 Here are some scanned pages from one of their old catalogs showing how to graft, t-bud, and chip bud. 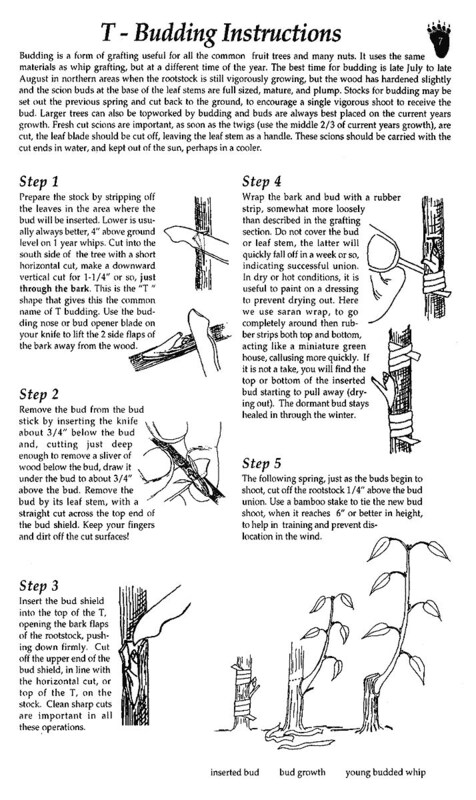 These are the main methods of propagating fruit trees. Southmeadow Fruit Gardens Hundreds of modern and antique fruits available by mail order with a descriptive online catalog. NOTE- a change in ownership has apparently made this an unreliable nursery. See here for customer concerns. Cummins Nursery Wide variety of fruit trees. Carries some new releases from Cornell. Stark Brothers Nursery A source of many fruit plants. St. Lawrence Nurseries Online Catalog– many apple variety descriptions. Edible Landscaping Online Catalog.Many unusual fruits. Pense Nursery– Arkansas nursery specializing in small fruits and very low prices. Benner’s Gardens– Products for deer and varmit protection. Almost invisible fencing. Bay Laurel Nursery– California nursery specializing in Dave Wilson creations. Many, many fruits. Nourse Farms– Massachusettes nursery specializing in small fruits. Good prices. Indiana Berry – Many small fruits. Hartmann’s Plant Company– Many small fruits. TRECO– Wholesale rootstock sales, also trees. Minimum order of 100 rootstocks. Nafex Nursery/Supply Source List – The North American Fruit Explorers listing of suppliers. Pollinator Paradise– An excellent sournce of solitary bees, resources. Solitary Bees– A great bunch of links and information from Idaho. Mason Bees and supplies, books, etc. Trees of Joy – Bassam Samaan’s site in Bethleham PA. Lots of info on figs. Encanto Farms Nursery – Many figs available as scions or plants. Autumn olive -A thorough account of this tasty little berry. Darren Gordon’s description of “bagging” fruit to protect from insect damage. Excellent! Burpee– the seed company’s Home Gardening Pages with lots of good information. Pinetree Garden Seeds A TREMENDOUS online catalog featuring many different kinds of seeds and some fruits. Great prices. A great French pomological site by Alain Roueche. MANY pictures and descriptions of apples and pears, much translated in English. The Real Cider and Perry Page Everything you wanted to know about making cider and perry. The Whittenham Hill Cider Page Excellent page with lots of information about small scale cider production. North Star Orchard– Ike and Lisa Kirschner’s wonderful orchard and vegetable Farm located in Cochranville, PA.
Lakeside Orchards (Manchester, Maine) – offering apple gift packs.